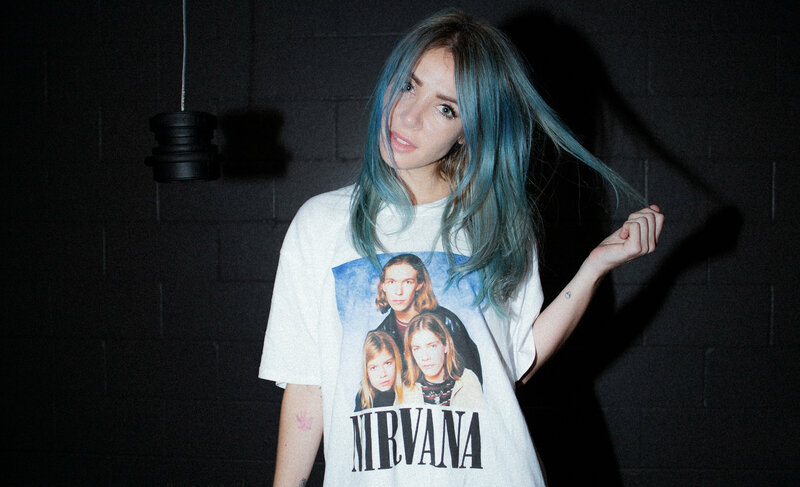 BMG has inked a worldwide publishing deal with Australian electronic producer, DJ, writer and singer Alison Wonderland. Alison Wonderland is a major draw on festivals around the world including Coachella, Lollapalooza and Splendour in the Grass, and make EDM history in 2017 by becoming the first solo female DJ to grace the main stage at EDC Las Vegas. BMG US president, repertoire & marketing, Zach Katz said “We pride ourselves on working with career artists and Alison is the prime example. “True dedication to the creative craft and delivering for her fans is exactly why we are truly proud to be working with Alison and her team”. Hungry for more electronic artists, BMG has also taken on Sydney producer What So Not (Chris Emerson) for a worldwide publishing deal. “Chris is an extremely rare breed of producer – a creative savant with a tireless work ethic,” BMG Australia managing director Health Johns said. Usher who’s gone through four managers, announced a deal with 100 Management for worldwide representation. The news was released while he was touring Australia heading RNB Live, which is said to have sold 150,000 tickets in total. 100 Management founder Luke Mitzman will work with Usher’s current team, led by Julia Khan, in managing his career. Usher, who released his first album at 15, has sold 65 million records. He shifted 10 million copies in the US alone of his Confessions album. Perth-based Perfect Pitch Publishing signed indigenous songwriters/performers Gina Williams and Guy Ghouse to a global publishing agreement. The two have won best indigenous act in the 2013, 2014, 2015, 2016 and 2018 WA music industry awards. Clive Hodson, MD of Perfect Pitch Publishing said that one of the highlights of the deal for him was that it would expose a global audience to their Noongar, currently enjoying a renaissance. “It is especially timely, given 2019 is the International Year of Indigenous Languages. “Their music is a celebration of the things we share, not the things which divide. Their songs and performances are informed by four principles; Koort (Heart), Moort (Family), Boodja (Land) and Koorlangka (Children/Legacy). US blues performer Charlie Musselwhite has appointed Melbourne based Alan Evers-Buckland as his business manager for Australia and New Zealand. Evers-Buckland, who manages singer-songwriter Abbey Stone, has been working closely with Musselwhite on a casual basis for almost a decade, and this just formalises their relationship. Henri Musselwhite continues to manage him for the world. Frank Stivala, head of Melbourne’s Premier Artists is appointed his booking agent for Australia and New Zealand. Create NSW, ABC, Screen Australia, Austrade and AFTRS partnered to present Australia’s first virtual reality initiative – 360 Vision. It showcases the most innovative Australian and international virtual and augmented reality content creators and storytellers. These will be regularly updated. Developed by Triggar VR, the 360 Vision app is now available on Apple, Android and Oculus Go and available for download from app stores. Major Australian sports events continue to use music to lure younger attendees. Red Hot Chili Peppers, who announced their Australian tour this morning through Live Nation, will headline the Superloop Adelaide 500 concert on Sunday, March 3. SA tourism minister David Ridgway says more big acts would be announced for the event’s entertainment. Similarly, 15 days of music are planned for the 2019 Australian Open in Melbourne. Mushroom Group unveiled Dean Lewis, Angus & Julia Stone, Bastille and Craig David as the first four revealed. YouTube Premium, the paid streaming subscription service and YouTube Music Premium are now available in seven new markets. This, takes the services to 25 and 21 global markets, respectively. Greyscale Records’ latest addition to the roster are Diamond Construct, a four-piece from the quiet town of Taree on the NSW central coast. The band’s new single ‘Submerged’ was premiered on triple j’s The Racket. Singer Kynan Groundwater explains that lyrically the song “came from a time where personally, things were sinking; so musically it actually came together reasonably quickly. On December 7, they go on the road with Alpha Wolf and Justice For The Damned on the ‘Survival Of The Riffest’ tour. Netflix is entering the singing competition reality series territory with the hip-hop-themed Rhythm & Flow, from John Legend, Jesse Collins and Jeff Gaspin. It aims to find the next breakout hip-hop star, and Cardi B, Chance the Rapper and T.I. are the three main judges. The 10-episode series is set to screen this time next year. Universal Music Publishing Group (UMPG) signed UK rock band You Me At Six, the deal covering all future releases including the new VI. The band recently inked a record deal with Kobalt’s AWAL after a stint at Virgin. Australia’s Golden Robot is enthusiastically scooping up acts at a rapid pace. Its indie-focused sub-label, Riot Records now has Los Angeles quartet Valley Queen for the world ex-North America, with their debut album Supergiant, out in 2019. Mark Alexander-Erber group founder and president says, ‘You only have to read the incredible reviews out of the US to see why we were super keen to sign this incredible act. “I felt VQ perfectly felt at home under the Riot Records brand, this album from start to finish is so rich in texture and brilliant songwriting. Cooking Vinyl Australia has the local rights to Los Angeles-based band Bad Suns, following the band’s deal with Epitaph Records. First release here is the single ‘Away We Go’, their first piece of music for a year. Formed when they were teenagers, Bad Suns have come a long way since catching their first big break from LA radio institution KROQ after dropping a demo off in their mailbox. They broke the US Top 25, toured with Halsey and The 1975, and played Coachella and other marquee festivals. Following producer and DJ Max Chapman’s win at this year’s DJ Awards in the Breakthrough category, his deal with Bucks Music has expanded from administration to a world songwriting pact. Touring the world, he also runs his own Resonance Records, which has become an established platform for underground house music. It has released music from the likes of CamelPhat, Solardo, Waff, Richy Ahmed, Detlef, Mark Jenkyns and George Smeddles. FUGA, the technology and services company for international rights holders, have signed a new series of deals which signal a move into the emerging esports music market and further their presence in the Americas. It will distribute the music catalogue for Riot Games’ global gaming sensation League of Legends, beginning with “POP/STARS”, the debut release from virtual band K/DA, which has nudged 60 million views on YouTube. In addition, FUGA announced new roster additions with Nashville’s Big Yellow Dog, LA’s Alpha Pup, and Mexican label Movic.